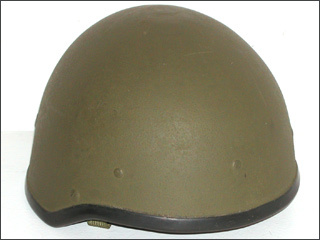 Israeli modified American M1 helmet with British style chinstrap. 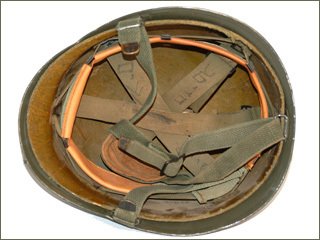 These transformations of American, and even French OTAN helmets were done during the 1960s to the 1980s for the Tshal (Self Defense Army). 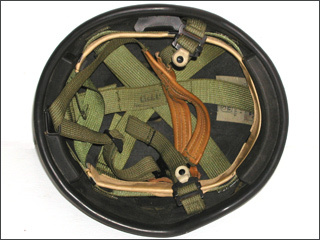 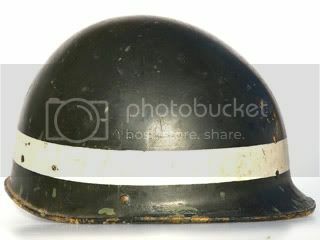 Based on the American M1, the Israeli's developed a ballistic fiber helmet in the 1970s. 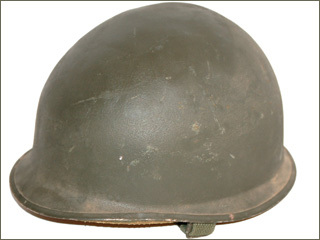 Introduced in the 1970s this helmet remained in service until the 1990s and was used by the Israeli military during the invasion of Lebanon.